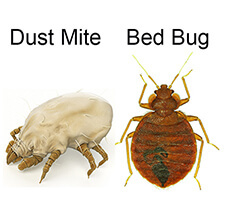 I was at my last tether before I came across bed bug barrier – I had read a review somewhere and was at the point of burning my bed/moving to Japan when it arrived. At first I was dubious but I went for gold, covering my bed, and all my sheets in it and still had a bulk load left. 7 days down the line I was bed bug free and 9 months later, I am officially the proud owner of a bug free, beautiful bed. I cannot recommend this stuff enough, it did the job and more whilst being seriously cost effective. Amazing.